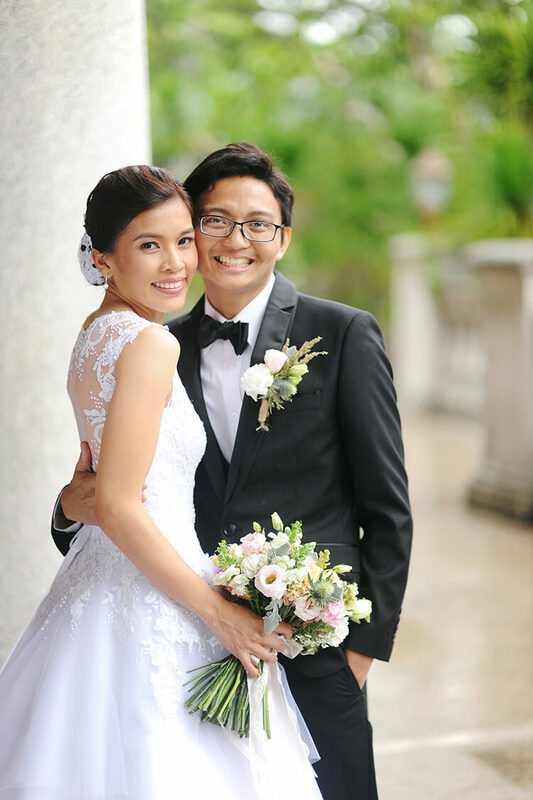 Opening the love month with a DIY wedding feature! 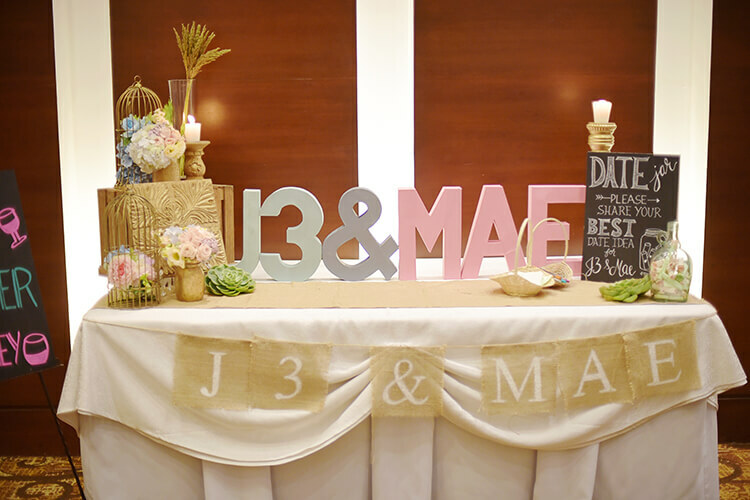 Today’s DIY couple, J3 and Mae, worked on a lot of pre-wedding projects to personalise their wedding. 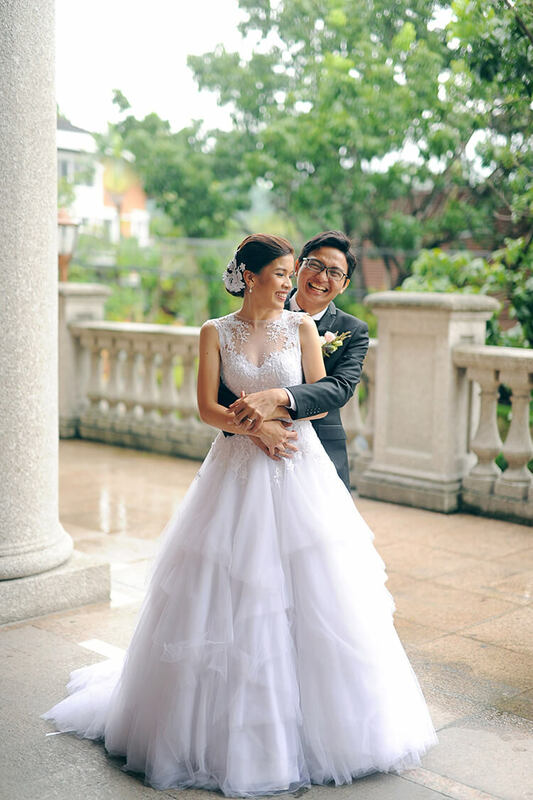 “It was a lot of work, but my husband and I enjoyed so much doing the DIY stuff together. 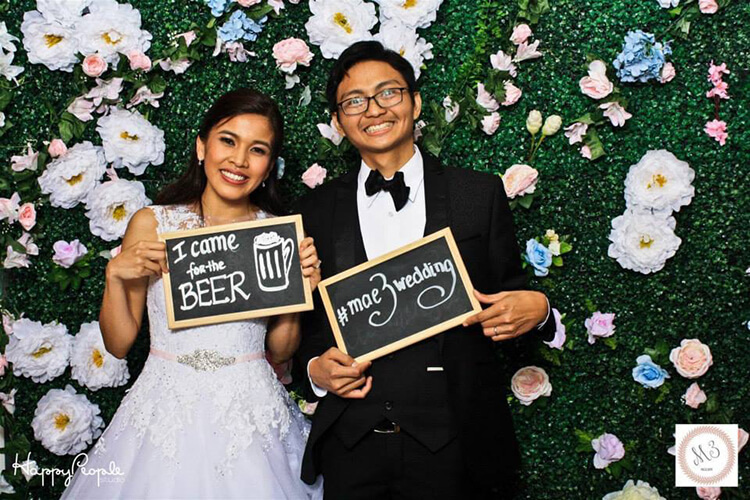 Even if we’re not really very ‘artsy’ as we are both Industrial Engineering graduates, we enjoyed the “bonding” session and exercising our creative side,” the bride writes. 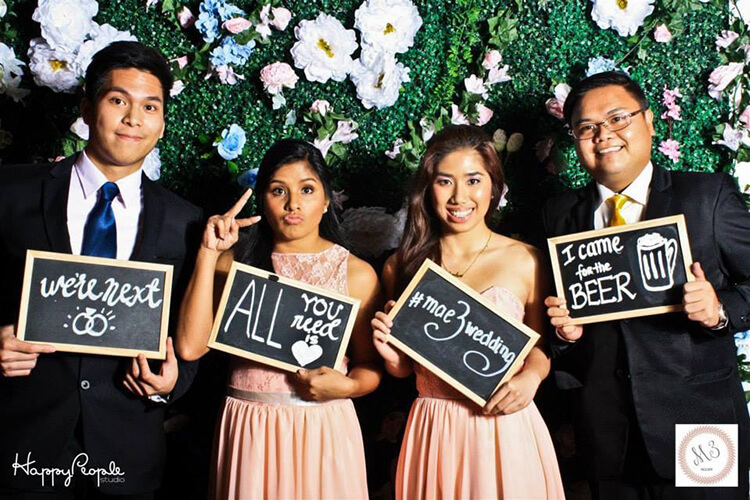 And boy, would you look at all the DIY elements they cooked up for their wedding…they definitely channeled their artsy side. 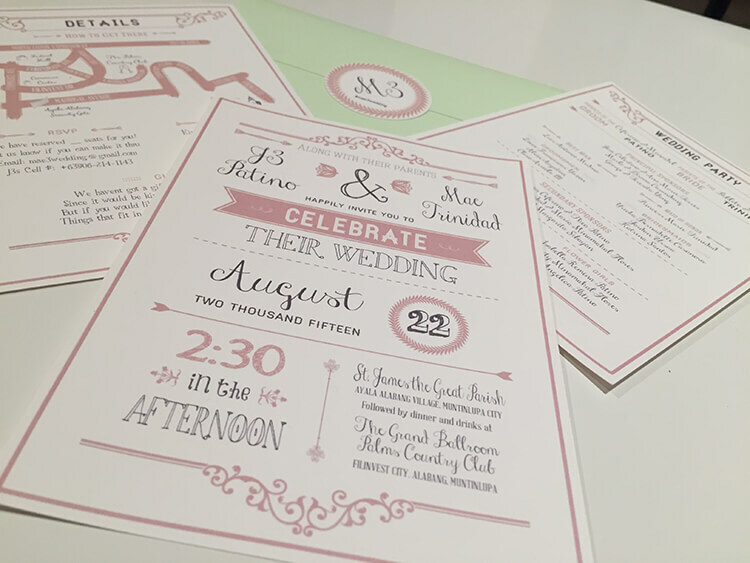 DIY Wedding Invitations. 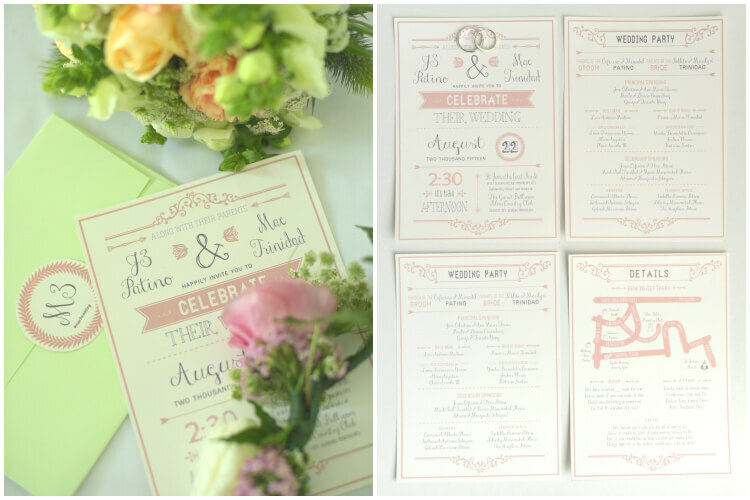 Everything in this pretty invitation suite is DIY, from the design to the labels, yes, even down to the envelopes! 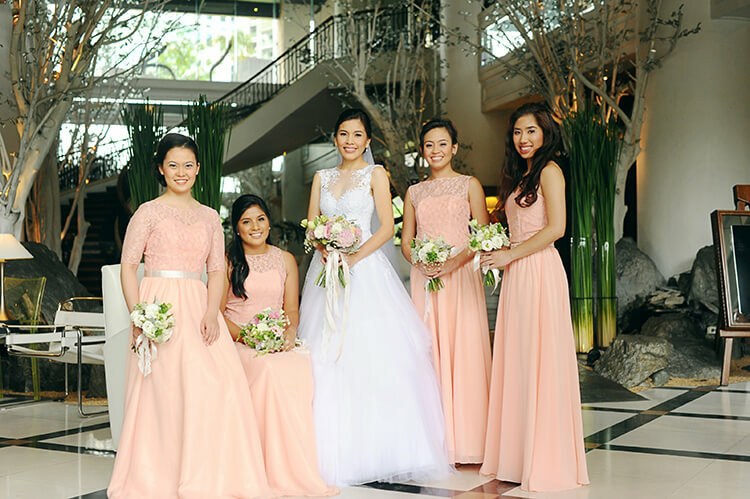 The bride shares, “We found a free invitation template and just did editing in photoshop of both the color and the layout. 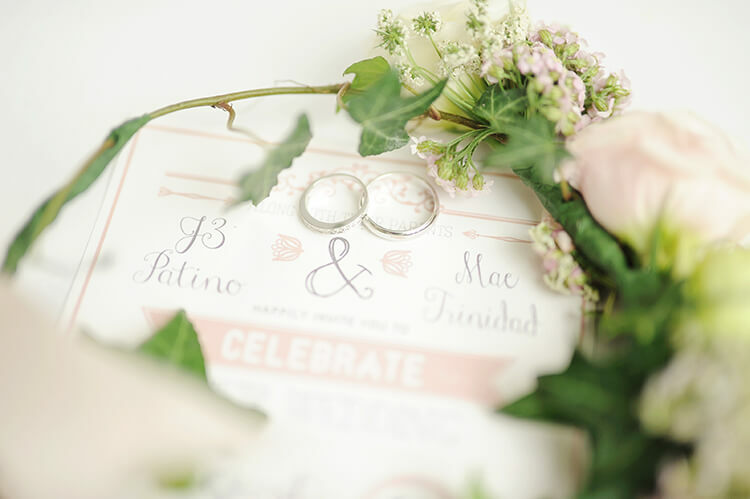 We bought the paper and printed it in UP Shopping Center (yes, where we used to print our papers back in college), we got a tip from a friend who did this for their wedding too. For the envelopes, we found a template again online. 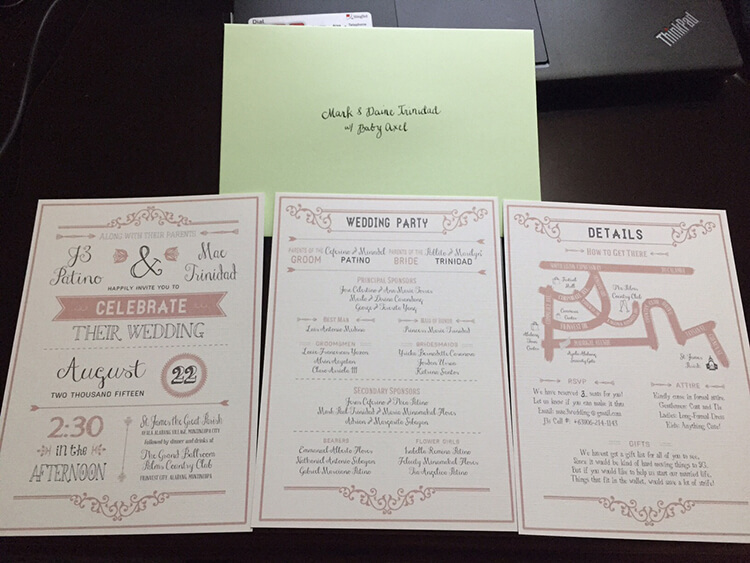 We printed the pattern on every single page and cut/formed the envelopes (just the two of us)! Even the round M3 sticker on the envelope was manually cut by us. 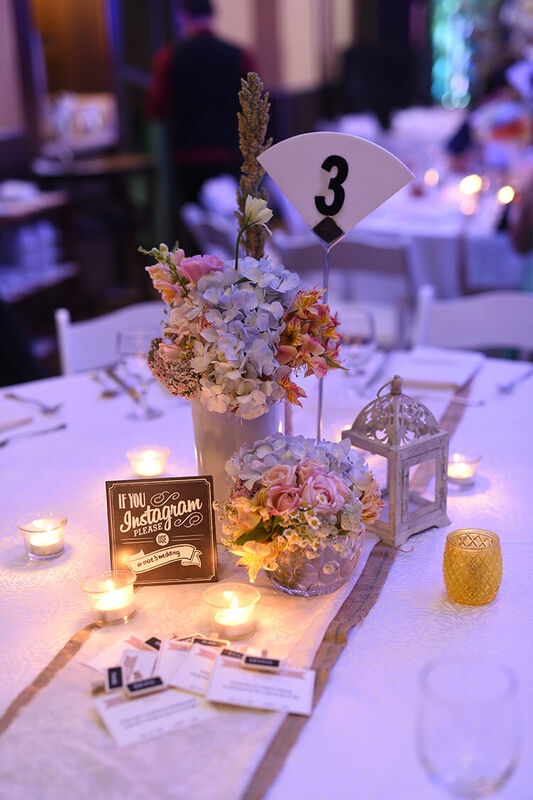 The names at the invite were all hand written by me also.” DIY Photo Booth Props and Sign Boards. 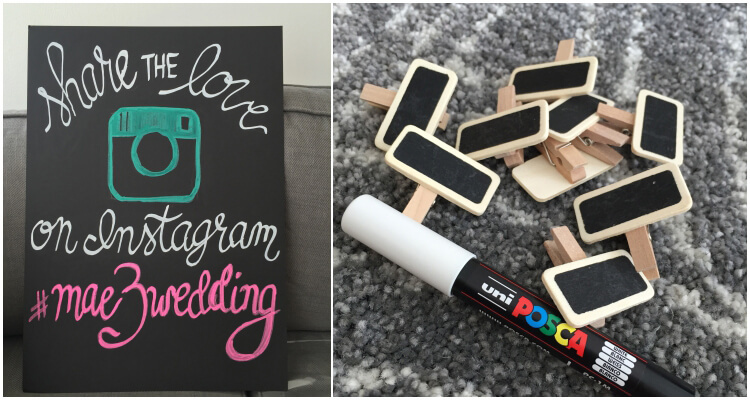 Blackboards + Chalkboard pens = some easy peasy photobooth props and wedding sign boards! The bride claims she’s no good at calligraphy, but who needs a calligrapher anyway? See how charming these boards turned out? Also love the idea of a “date night jar”! 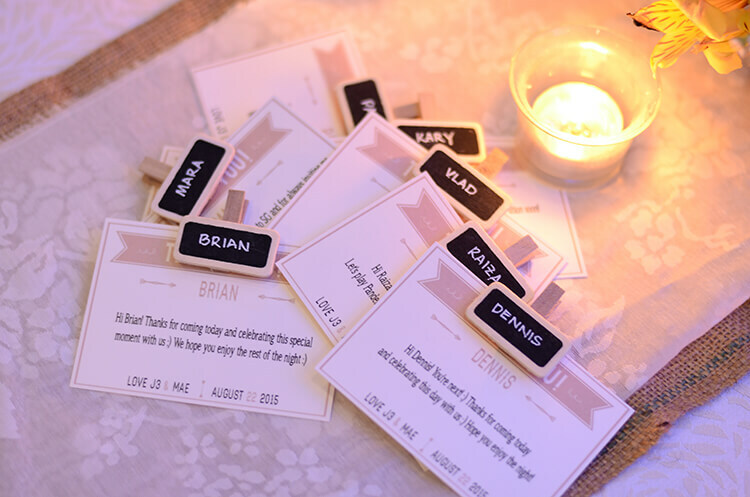 Personalised place cards/thank you tags. J3 and Mae wrote thank you notes to their guests and used them as place cards. A personal note, for each and every guest! 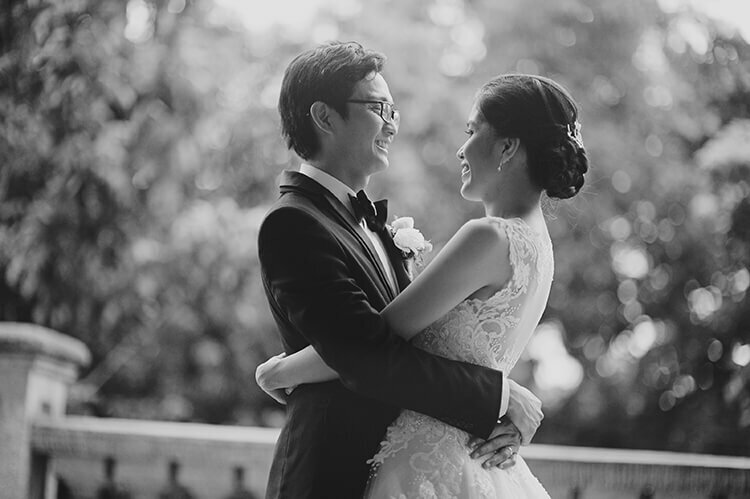 What a nice wedding detail to spend time on, amidst all the chaos that is called wedding planning! Definitely my favorite detail! 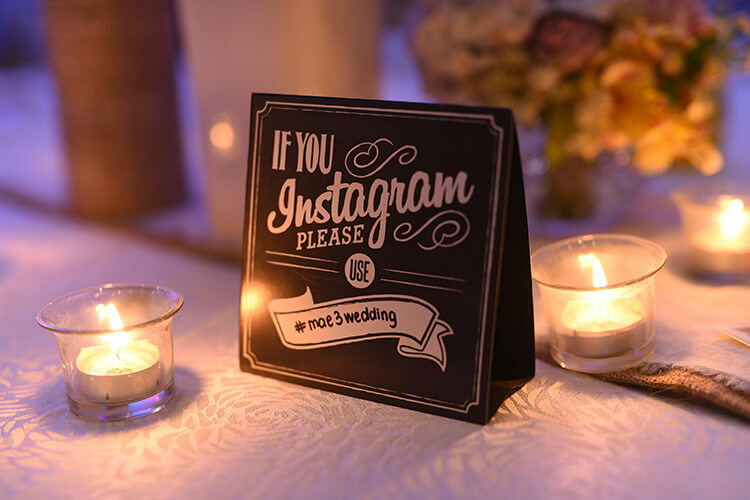 Do you have your own wedding DIY projects to share? 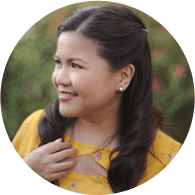 Click here to see how you too can be featured in Homemade Parties! 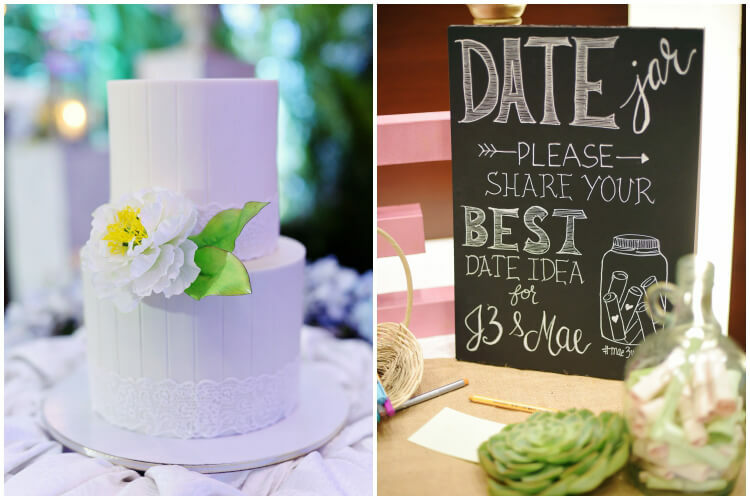 Planning a DIY party? 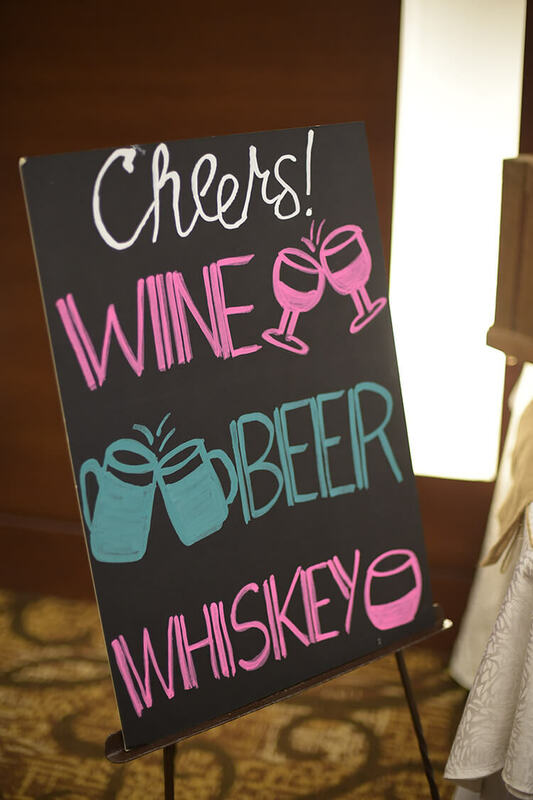 Visit our party supplies directory here.